I have to ask: does Social Proof still hold value in 2019? It's one of the concepts internet marketers love to talk about, even bemoan the loss of (share counts discontinued in 2015 by Twitter, for example). And it’s one of those phrases – like “internet marketers” itself – that doesn’t really have a clear meaning. Does that mean it doesn’t have any clear value, either? For those who might not be familiar, HubSpot is an inbound marketing, lead generation, and content management platform. For years, my company has both been a customer, and helped to build and optimize countless websites around their software because we gain incredible insights and lead intel from it. HubSpot Certified Partners are scored on their work and can advance to higher tiers based on two counts: the amount of business they bring in for a calendar year, and the number of sites they manage. My firm moved from Silver to Gold fairly quickly, but it took many years and a lot of hard work to achieve Platinum status. Given that we are a relatively small team (at least in terms of numbers), it felt like quite an achievement. And, that we don't actively "sell" Hubspot. Once we made it to Platinum, people took notice. Peers applauded us, and competitors envied us. More importantly, prospects sought us out. They wanted to work with a more prestigious agency. Having that Platinum designation was a huge badge of honour, and one that undoubtedly helped our business. Reaching that status gave us instant social proof. Unfortunately, while the amount of work we did with HubSpot put us just over the platinum line for 2018, we have since dipped just under it again. We are back to being a killer good Gold partner. Still notable, but not holding quite as much sizzle. In theory, none of this should matter. We are still the same firm helping our clients with the same types of deployments as we always have. And yet, I’m sad to have lost our top spot. Is that just in my head, or will there be a noticeable cause and effect on our bottom line? The tactics are new, but the underlying ideas of attracting customers and generating conversions have been around for hundreds of years. Although social proof tends to be discussed more in the digital age, there isn’t anything particularly new or innovative about the concept of building a reputation, because that's what it is. We all assume that five-star hotels are better than three-star hotels, but we conveniently ignore that the distinction can be somewhat arbitrary. The explosive success of McDonald’s Restaurants has been largely built on the promotion of the company’s earlier success. Who doesn't remember the signs talking about billions of burgers served? Bailey’s Irish cream, now a well-known brand, once included circular patterns on its labels helping buyers to envision medallions won. These are just a few examples, but they point to a practice that has been around for a long, long time. Online marketers didn’t invent social proof, we’ve just commandeered it (by we, I mean Facebook with the introduction of the Like button). Instead of print labels and billboards, we are promoting our expertise with agency awards, Yelp reviews, and Better Business Bureau ratings. It’s hard to admit – especially in the middle of a post about the falsity of social proof in the digital age – but I still pay attention to reviews and other vanity indicators. I loved having Platinum status on HubSpot, and I’m still more likely to check out a post that seems to be getting tons of views and shares rather than another one that has been ignored. I still want to try the craft beer that won the most awards, and like it when my business is nominated for awards (even though I no longer actively try for them). All of this is normal. That’s because there is psychology behind the concept of social proof. We all want to be recognized as leaders and innovators, and none of us wants to miss out on the next big thing. As 2019 rolls along, you can bet I’m going to miss being a Platinum HubSpot partner. In fact, I’m going to work hard to get our designation back. As I do so, I’ll be telling myself that it’s good for my business, and it will be. But another small part of me will know that even though social proof shouldn’t mean anything in the digital age, I’ll be a lot happier when my company is back on top of the pile. 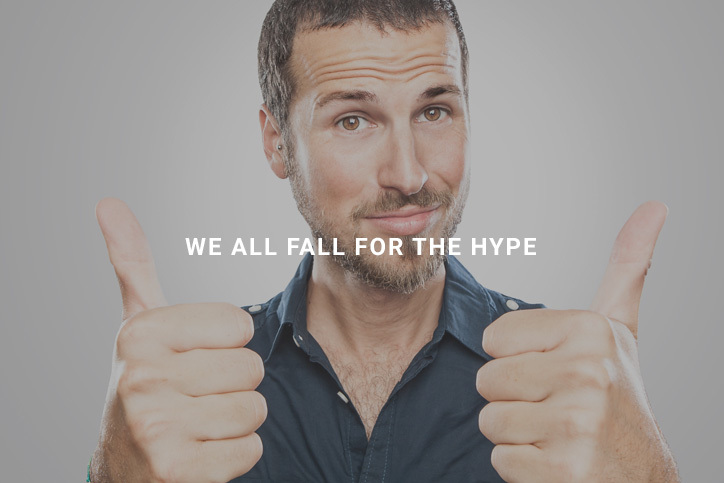 In a nutshell, my opinion is that social proof is here to stay, whether we like it or not.